Ian Dunbar is a gradu ate of the University of California, Santa Cruz, receiving a B.S. in Computer Science: Game Design, and is now pursuing his M.S. in Games and Playable Media. For his undergraduate thesis, Militarium, Ian proposed a spin on the RTS genre by designing the game to play more like Go as opposed to the genre norm, chess. During development, Ian co-led a team of 20 fellow students while working as a systems and engine programmer before presenting the game to a 700 person audience. Militarium was one of two award winning games developed by Ian during his undergraduate career. You can find Militarium along with his other works at his portfolio. Ian has an interest pursuing games as a form of satire and commentary as well as exploring new ways in which stories can be told and experienced. His plans for the future will focus around indie development where his love for gameplay, story, and technical design can be expressed to the fullest. Kimberly S hannon makes games with code, knick-knacks, and furious sketching. She’s been drawing since she could hold a pencil, but found that making games is one of the most powerful ways she has to bring visions to life. 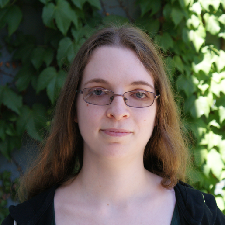 A graduate of UC Santa Cruz, she received her bachelor’s in Computer Science: Game Design in June 2013. While at Santa Cruz, she was an artist for several student projects, including Microventures, the first game she helped publish. During her senior year she began production of a game of her own design, Biogenesis. You can see all of her projects at her portfolio. She is currently continuing her studies at UC Santa Cruz in the Games and Playable Media M.S. After college she hopes she can continue to bring out the best in games by joining the industry as a game designer. 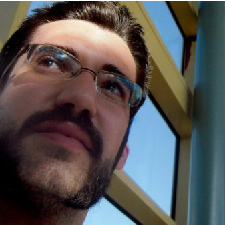 William McCarty is a game designer and programmer who has been envisioned creating innovative game designs his whole life. He received his B.S. in Computer Science from San Jose State University in the spring of 2013. While there, he was part of the Game Development Club and was a part time computer science tutor. During his studies at San Jose State University, he developed his skills by re-creating several games such as Pac-man and Tetris. 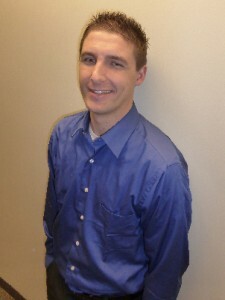 He developed his first game, Robot Bouncers, which can be found on his portfolio along with his previous work. Currently William is pursuing his M.S. in Games and Playable Media at the University California, Santa Cruz, where he will work with colleagues to create a game from start to finish. Once he succeeds with his game and obtains his degree, he plans continue developing games for either a company or as an indie developer. He has a love for games, as well as a passion for designing them regardless of where he ends up doing it. 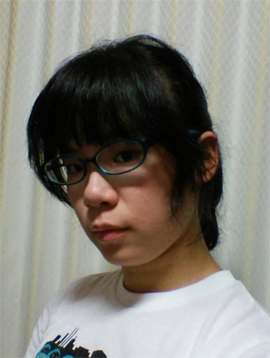 Mina Ho (Jung-Hsuan) is a programmer curren tly studying in the Games and Playable Media M.S. at UC Santa Cruz. She finished her master’s degree in computer science at National Taiwan Normal University in Taiwan and became a research assistant there. There she participated in a project for porting android to CPU which is made by Andes. She has also worked at National Yang- Ming university, with professor Ueng-Cheng Yang’s lab, modifying the system made by National Institutes of Health to fill the request of hospitals in Taiwan. You can see her other work at her portfolio. © 2019 Tremble Game. All Rights Reserved.